Chi va piano, va sano e va lontano. Slow and steady wins the race Continua a studiare e praticare e non mollare! Keep on studying and practicing and don’t give up! 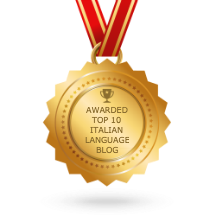 Not sure where to start learning or improving your Italian? Ciao, sono Maura Garau, CyberItalian Founder. I believe Italian language and culture offer us an opportunity to experience quality of life. I am very interested in the development of the potential and talent that each human being has, and I like to give a true meaning to the word “educare” (to educate, to teach; from the Latin “ex-ducere”, to bring out). The best educational experience is the one that allows each person/student to express (bring out) the best of him/herself. Copyright © 1996 - 2018 CyberItalian Inc.